Today’s edition of Partner Thursday is contributed by Dirk Kuritz from Namics, a leading full web service agency. When Dirk isn’t shopping online, he helps companies to improve their eCommerce customer experience. A customer wants to return an item? Damn him! 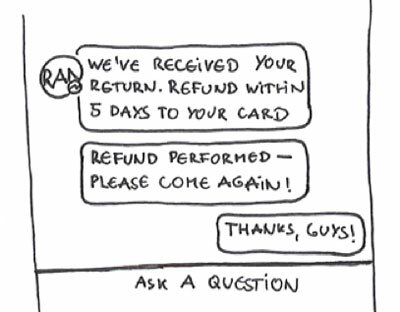 One might think that this is the attitude of many online stores if you look at their return processes. Returns are an inevitable part of selling online. In the short run, they may mean additional costs. But how you handle the return process can also impact if customers will return or recommend your online shop to friends. Therefore, customer satisfaction with the return process is important and should be considered when designing the overall customer experience. 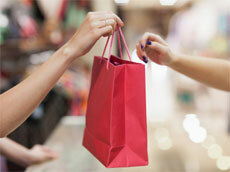 Considering their relative importance these factors rank fairly low in the customer satisfaction. 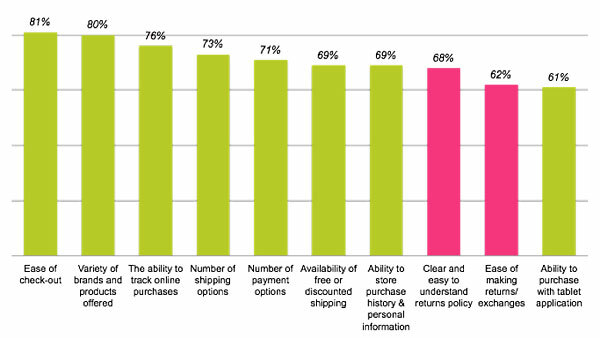 68% of online shoppers are satisfied in a sense that the returns policy is “clear and easy to understand” and only 62% regard the returns/ exchanges as “easy”. Whenever you design a user centered process, you should put the user’s needs into the center of your considerations. 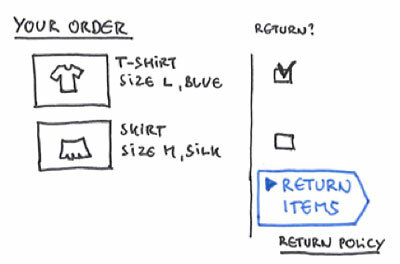 What might the customer expect when returning an item? The return process should be convenient, fast, cost-free and flexible. Challenging for you as a company? Definitely. Impossible to implement? Maybe. To illustrate an example of a positive return process experience, let’s Sally A. as an exemplary persona. Sally ordered several items from a fashion retailer. Most of them fit well except a shirt that didn’t fit well and a pair of trousers that she doesn’t like. Sally didn’t read the return policies before she ordered, but is happy to find them placed as a link next to her order history. The return policies are easy to understand, and show a graphical step-by-step description how to return the items, and some examples of when it is possible to return items and when not. As described in the first step, Sally accesses her order on the retailer page and chooses the items to return. Sally is asked for the return reason upon confirming that she wants to return the selected items. 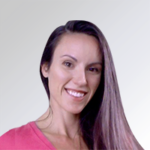 Knowing the return reasons enables you as a company to optimize your processes. For example, if customers constantly order the wrong size, additional help on how to choose the right size on the product detail page might help to reduce your returns. 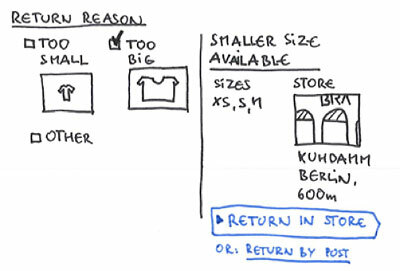 Econsultancy shares several real-world examples of how fashion retailers reduced their returns by providing a sizing solution. Sally enters that she ordered the wrong size for the t-shirt. On selection the system automatically suggests the nearest shop with the sizes available based on her postcode and the availabilities stored in the system, along with a short overview of the advantages such as being able to try it on immediately. As the shop is relatively close but not in an area she frequently visits, Sally chooses to return by post. 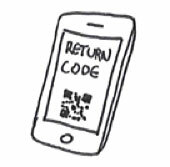 Luckily the system allows her to print out the return label again or send it to her mobile device as a QR-code, as she already tossed the provided return label. Sally chooses to download the QR-Code, and the logistics provider scans the QR-Code and prints out the return label. Some logistics providers such as Hermes already provide this service, while other services like Shyp will pick up the items for return, safely package them and send them with the best-priced carrier, all managed through its mobile app. Sally is kept up-to-date on return status by automatic notifications, such as when the return was accepted, and the money was returned or the exchange product was sent. 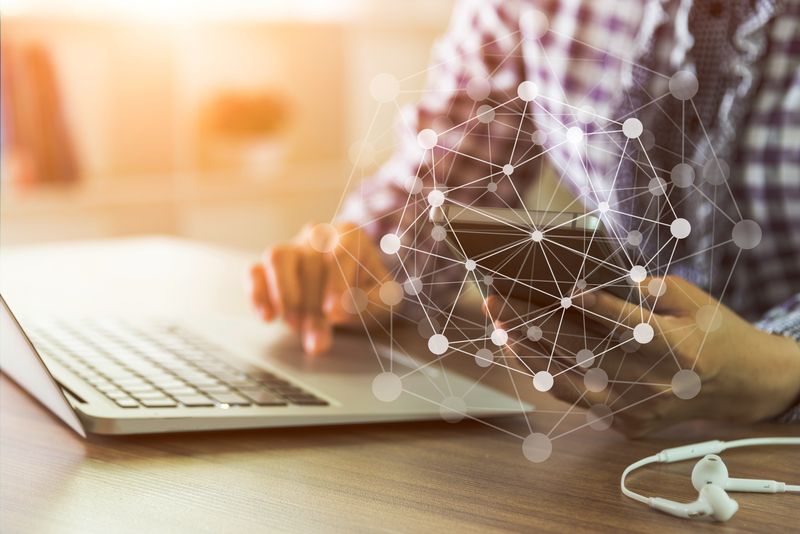 Sally has full transparency, and the company has additional opportunity to deepen the customer relationship and cross-sell and up-sell additional products. 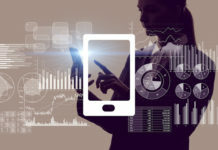 Sally chose to receive these notifications by email, but could have them received through other means such as Facebook Messenger for Business as well. For products that are not returnable or when the refund must be rejected, the option to offer a voucher / credit note is great customer care. For a long time, returns have been seen as a necessary evil. But they also provide the opportunity to deliver superior customer experience and even deepen your customer relationship, while gaining important insights about your products and services.